Read the one book all of London is talking about. Library Spotlights and Personal Picks. See the newest books and quickly find reading recommendations in these fiction genre reading guides. See the newest books and quickly find reading recommendations in these non-fiction genre reading guides. Graphic novels are books that tell a story in comic book style - through sequential art, with or without text. Graphic novels can be fiction or nonfiction and are written for adults, kids and anyone in between. Find out about all your choices for listening to books - on your mp3 player, an iPod, from a CD and more. Find eBooks, get help with your eReader, and see what's new. Links to lists of award winning books at the Library as well as links to the offical websites for literary awards. See the newest biographies at the library and lists of biographies at the library by type of biography. Every library in London has books with larger type available in both fiction and nonfiction. Des livres et journaux en français pour enfants et adultes. Links to lists of DVDs and downloadable e-videos organized newest first and by genre such as adventure, comedy, historical, mystery and foreign films. Lists to links for music programs, books and cds - organized by genre so you can easily find what you need. Links to books and movies available at the Library in over 25 languages for adults and children. We offer a variety of book clubs at various locations for people young and old. We also offer a Book Club in a Bag program. Check it out. AudioBookCloud  is an online audio book library collection of streaming Adult and Children's audio books for public libraries. There are also some audiobooks to download. Books are in English and Spanish. Remote access is available. The Notable Books Council of the American Library Association chooses titles every year that make a significant contribution to the expansion of knowledge or for the pleasure they provide to adult readers. An award for exceptional talent for contemporary fiction written in English. Formerly the Whitbread Book Awards, now sponsored by Costa, a UK coffee company, as part of their initiatives to support literacy. The award is for books first published in the UK or Ireland. Canada's most prestigious literary award, sponsored by the Canada Council for the Arts. The Lambda Literary Foundation is devoted to the promotion, preservation and publication of Lesbian Gay Bisexual and Transgender literature. Their mission is the promotion of LGBT literacy in the widest possible sense. The top British award (known as "the Booker")for the best novel of the year written in English by a citizen of the Commonwealth or the Republic of Ireland. The National Book Foundation sponsors the National Book Awards, given annually to exceptional books by American authors. The Nobel Prize Internet Archive provides access to current and past winners. Canada's premier literary prize for fiction. The Pulitzer Prizes  Awarded annually for distinguished fiction by an American author. Literary award for books that are "evocative of Toronto". A unique charitable organization, the Writers’ Trust provides a level of financial support to writers unmatched by any other non-governmental organization. Through its various initiatives, the Writers’ Trust celebrates and rewards the talents and achievements of Canada’s novelists, short story writers, poets, biographers, and other non-fiction writers. Books about individuals are placed in the Dewey numbers with other material on that subject. If you are looking for material on a specific person, search in the catalogue by subject, using the individual's name. Includes biographies of persons who died between 1000 and 1930. This includes Canadians and other people who played a role in Canadian affairs e.g. British officials serving in Canada. With our Book Club in a Bag  program, you can check out a bag containing 10 copies of a book suitable for book discussion groups. The bags can be checked out for 6 weeks at a time by anyone interested in hosting a book club. To see a list of the titles available with summaries, click here . Need help getting coversations going at your book club? Check out our collection of Bookclub-in-a-Box eBooks! These literary guides provide topics, themes and background information about various titles to help keep your book club meetings lively! Click here  to see the list of titles available. Modern Library's pick of the 100 top novels of all time. Time critics Lev Grossman and Richard Lacayo pick the 100 best English-language novels from 1923 to the present. Includes links to original reviews, where available. From Mid-Continent Public Library in Montana, this is a compilation of more than 1200 books, novels, short stories and plays that have been made into movies, in English, since 1980. The Reading Lists provide frequently updated lists arranged in categories. Rock star librarian Nancy Pearl has created this Wiki for book lovers. A treasure trove of book reviews, recommendations, reading lists and links to book blogs and other Web sites for bibliophiles. A free resource that features the best book-related content on the Web. Sites are carefully selected and organized into categories, such as bestseller lists, book reviews, genres, and more. Recommended 'best literature' lists, articles, reviews, authors pages, awards, blogs. Halton Hills Public Library offers many booklists on a wide range of topics. Posted by Feminista in response to the almost 100% listing of male authors in the Modern Library's "best" list, this presents a non-ranked list of 100 great women authors. Genre fiction - booklists, series, reviews. A complete list of genre fiction styles, reading guides and recent novels. Genrefluent is the official web site of author, editor, reviewer, reader, and librarian Diana Tixier Herald. 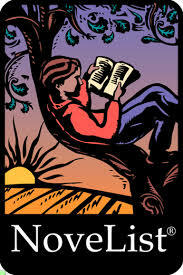 It is a place to find out about new books for adults and teens who read for the fun of it. Includes book reviews. Internet sites selected by HALINET staff (Halton Information Network) Provides quick links to many of the best fiction web sites. Book reviews, authors and booklists for humorous novels. The best of the ‘Best of’ lists in one place. Overbooked is "a Web site for ravenous readers". It offers a wealth of annotated booklists on various themes and genres, as well as starred reviews, new and notable books, Web links and suggested reading. Created by a team of librarians, this is the site to go to when you're in need of reading ideas. It has a list of the latest books by "big name authors", lists of books by type, and an author and series index. Access to series by Author. Comprehensive list of fiction series; search by series name, characters or by genre. Allows searches by author, series name or main character. Clicking on a series name will bring up a genre page. If the page is long, use your browser's "find" or "find in page" command to search for the series name or author's names. A searchable list of novels that are part of a series, or that are sequels to earlier books, from Los Angeles Public Library. Created by the Kent District Library, MI, "What's Next" allows searches by author, title or series name. These lists offer names only, no titles. A good place to start. A good selection of lists - the section on Janet Evanovich is noteworthy. The staff at Rocky River Public Library have created this wonderful searchable site for readalikes. You can search for an author or a title, and find recommendations for similar books. There are also a number of other ways to search. This site offers an unusual way of finding your next read. You choose from a list of characteristics, plots, characters and settings to describe the book you'd like to read, and it gives you a list that matches your criteria. Reviews are by staff of UK libraries and other literary organisations. Up-to-date listing of books made into movies. Includes both fiction and non-fiction. Book~worm 1. A person who is excessively fond of reading. A great blog for all the Bookworms out there! News of literary awards and lots of other information of interest to authors and readers of Canadian fiction. A database of some of the UK and Commonwealth's most important living writers - biographies, bibliographies, critical reviews, prizes and photographs. Searchable by author, genre, nationality, gender, publisher, book title, date of publication and prize name and date. Detailed bibliographies for over 6000 authors. Information on 120,000 books. Awards, Series, etexts, historical books (back to 1667) and new books. Comprehensive site for tracking fiction series. Create free user account to begin. Lists of themed book recommendations. Ability to create free personalized account for tracking purposes. The Web site for the popular CBC Radio program. Find out about the contenders, winners past and present, and the panelists. You can also have your say. Online version of the magazine of the Canadian publishing industry. While a subscription is required to read the articles, free access to reviews is provided. Canada's biggest selection of Canadian books, Canadian authors, book reviews, book lists, and more! A searchable blog all about chick lit, from the UK. A great site especially for anyone wanting to know everything about chick lit books. With more than 675 rated titles, 400 authors and 150 book previews and counting, this is the one-stop site for readers needing their fix of chick lit. Browse through over 10,000 comics on Hoopla! Borrow up to six items per month. Comics are available to borrow for up to 21 days. Visit the Hoopla login page . TumbleBookCloud  contains young adult and teen novels, classics, poetry, short stories, audiobooks and graphic novels and videos from National Geographic. Resources are in English. Remote access is available. A premier destination on the web for everything related to graphic novels! Includes news and reviews, interviews with writers and artists, behind-the-scenes peeks at the creative process and more. A graphic novel review site for kids, teens and adults. Reviews of selected comic books and graphic novels, with publishing history, art samples, plot summaries, and links to more information. A comprehensive site for readers of Christian Fiction, with reviews, author info, book excerpts, study guides, lists of award winners and bestsellers, and a section just for teens. This website allows free full text access to Christian classics. Writes the Russell Quant mystery series about a gay private detective. Canadian. Award winning author of fiction for adults and teens. Canadian. Award-winning author of the Sophie Greenaway and Jane Lawless mystery series. American. An acclaimed author whose novel, "The Line of Beauty", won the 2004 Man Booker Prize. British. Best-selling author well-known for his "Tale of the City" series, some of which where adapted for television. American. Novels explore themes of sexuality and cutural identity. Canadian. An award-winning author whose novels include themes of sexuality and cultural identity. Canadian. His Hop-Ciki-Yaya series feature a narrator who is a transvestite detective (by day a computer consultant, by night a nightclub owner). Translated into English from Turkish. Novels reflect gay middle-class life in urban United States from the 1970's through the 1990's. Fiction and non-fiction. American. Novels set in urban environments and alternative cultures. Canadian. Novels include a gay male mystery series featuring Benjamin Justice. Writes the Paul Turner mystery series featuring a gay police officer. American. The Website of the Pride Library at the University of Western Ontario. From The Publishing Triangle, an association of lesbians and gay men in publishing, a list produced by a panel of writers along with an alternative list of suggestions from visitors to the site. Home to the online Gay & Lesbian Reading Group, this site offers lists of recommended literature resources, including best books, sci fi, fantasy, horror and suspense/mystery. It also includes many related links as well as resources on film and art. The Foundation presents awards for LGBT fiction and nonfiction, and their Web site contains lists of former winners as well as current nominees. It also features resources for readers, writers and publishers of LGBT books. Explores the horror genre and its relation to gays, lesbians, bisexuals or transgendered folk.Includes lots of information about horror books including plot outlines, reader reviews, ratings and more! This site covers LGBT characters in science fiction, fantasy, paranormal and horror fiction. Here you will find the Dagger awards, latest books and news about crime writing, fiction and non-fiction. "America's premier fan-oriented mystery magazine". Murder in the kitchen, death among the books, mysteries in the garden are among the many topics of mystery book lists. Online version of the magazine - lots of author links and news about new releases. This site is a resource for the lovers of mystery, intrigue and suspense books. The Rap Sheet is an essential resource for readers seeking information about what’s new and interesting in the world of crime fiction. It covers crime, mystery, and thriller fiction both recent and vintage, appearing in all media--print as well as broadcast. A searchable Website of historical romance where you can find books by time period, author, title, hero/heroine, character type, series, publisher and new release. Also offers numerous reviews and excerpts. The online version of the magazine, containing a searchable database of reviews of romance novels as well as lists of favourites and classics. This site includes over 7,000 romance novel reviews, with new ones coming every day! This UK site contains a wealth of information on several genres including science fiction, fantasy and horror. Find out about your favourite authors, new and popular titles, series, and more. A searchable database of movies and TV shows based science fiction, horror and fantasy books. Online version of the magazine - news, reviews and resources for sci fi, horror and fantasy. The Web site for this group of local Sci Fi enthusiasts who meet monthly at the Central Library to discuss books and movies. Find out about meeting dates and topics here. Award listings, recent publications, author links and interviews. Reviews of new books. Includes a link to Horrornet for information on horror and suspense fiction. I am invariably drawn to post-apocalyptic fiction, fascinated with an author's imagining of what life may be if the world as we know it ends. Sandra Newman's depiction of a ruined world is brilliant in her novel, The Country of Ice Cream Star. Ice Cream Star lives with the rest of the Sengles in the woods, scratching out a living by hunting or scavenging in 'evac' houses. Life is hard - and short. By the time a person reaches eighteen, the 'posies' set in - and death is inevitable. When a white man is flushed from an evac house, he brings the possibility of a cure, for he is old - at least thirty years. Ice is determined to find the cure to save her brother Driver, who has just turned eighteen, as well as the rest of her people. This was such an amazing book on so many levels. Newman's plotting is rich and wide and so very, very inventive. The story is told in first person narrative from Ice Cream Star's viewpoint. I was completely captured by her voice, her attitude, her fears, her strengths and so much more. "My name be Ice Cream Fifteen Star. This be the tale of how I bring the cures to all the Nighted States, save every poory children, short for life. Is how a city die for selfish love, and rise from this same smallness. Be how the new America being, in wars against all hope - a county with no power in a world that hate its life. So been the faith I sworn, and it ain't evils in no world nor cruelties in no read hell can change the vally heart of Ice Cream Star." I enjoyed discovering the meanings of 'new' words and finding the remnants of the old tucked among them. I was able to imagine the words spoken aloud, the cadence and the rhythm and patterns of the Sengle patois. The Country of Ice Cream Star would not be the same book told in everyday English. That being said, I can see it frustrating some readers - mores the pity. The Country of Ice Cream Star is an epic read with a unique hero, a brilliant plot, oodles of adventure and ingenious world building. I loved it. Who else did? Another of my favourite authors, Kate Atkinson, has a one word blurb on the front cover..."Astonishing.." Yep, that sums it up in one word. The official site for this classic Western author, with a biography, articles and photos, a trading post and discussion forum. The organization's official web site. Their purpose is to promote the literature of the American west. They bestow Spur Awards for distinguished writing in this genre. This organization promotes interest in and knowledge of this eminent American author and his work. Les livres en français se trouvent aux succursales suivantes: Central, Beacock, Jalna et Sherwood. L’abonnement de la bibliothèque municipal de London offre à votre famille un accès illimité à l'ensemble de la collection du domicile. A la bibliothèque Central il y a un poste internet programmé en français et avec un clavier français où vous pouvez créer des documents, surfer, faire du courier électronique, etc. En panne de lecture? Vous cherchez des suggestions? Romans@lire, la banque de romans développée par la Bibliothèque nationale du Québec vous permet de repérer des romans répondant à vos intérêts. Cette banque de titres assiste les lecteurs à la découverte de nouvelles aventures romanesques ou encore à l’exploration d’œuvres gagnantes de prix littéraires prestigieux. Quand vous choisissez la base de données «Ebsco Host » vous pouvez choisir le français comme langue de l’interface. Les articles vous seront affichés en texte integral. Après vous avez recherché votre sujet, vous pouvez traduire un article aussi. Cliquez sur le “Choisir une language” et cliquez “Anglais/Français”, puis “Traduire”. Si vous voulez explorer des carriers, utilisez la base de données «Career Cruising ». Elle est disponible en français. Vous êtes nouveau au Canada? Le gouvernement du Canada s’engage à aider les nouveaux arrivants dans nos bibliothèques. Découvrez les services qui peuvent vous aider à réussir à London, Venez à la bibliothèque Central et aux succursales suivantes: Jalna et Beacock . Trouvez ici les cours en français dont vous avez besoin au Collège Boréal à London, Citi Plaza. L'Office québécois de la langue française offre un dictionnaire technique anglais-français (et français-anglais) qui est très utile et bien détaillé. La maison d'édition offre gratuitement la totalité de son fond encyclopédique, soit environ 150 000 articles. Les internautes peuvent aussi y ajouter leur contenu dans un espace clairment identifié. Library Spotlights are featured book lists. Featured titles by Black Canadian authors whose work has been recognized by Canadian journals and/or awards, as selected by library staff. Featured titles selected by library staff. Features titles selected by library staff. Personal Picks are created by library staff. This allows you to get a more personalized reading list. What’s a Large Print Book? Available at all your Library locations, Large Print books are complete, unabridged books with clear, oversized, high-contrast type. Large Print Books are designed for ease of reading. In addition to people with vision challenges, they are perfect for reading on the treadmill or learning to speed-read. How many Large Print Books does my Library have? Over 20,000 titles in paperback and hardcover and including bestsellers, popular fiction, mysteries, romance, westerns, classics, biographies and a variety of nonfiction! Large Print Books are gathered together in their own sections at each library. If you are looking for a specific title, search the catalogue by title. All Large Print Books have [large print] inserted following their titles. We’re happy to help you find them! You can search among hundreds of thousands of popular fiction and nonfiction titles, and also retrieve author read-alikes, book lists, book discussion guides, and more. All of this content is developed by Librarians and reading authorities who are experts in the field. The mandate was to present this sophisticated music in a publicly accessible setting in a manner that demonstrated the many nuances and colours of the Jazz palette. Searching for Books or Scores? Described as one of the best one-stop music resources on the Web, this searchable site contains information on many types of musical genres and musicians. The Canadian Broadcasting Corporation site includes complete program information, schedules of guests, listener feedback opportunities, and more. Canada's premier opera company presenting full scale productions of traditional and contermporary works. Sanctioned by the International Federation for Choral Music and linked to over 1000 other sites having to do with choral music, ChoralNet is an excellent place to search for choral music, lyrics, settings, publishers, composers and more. Music and theatre news, reviews, blogs and video clips keep readers current on the exciting Canadian entertainment scene. The authoritative resource for the history and development of music and musicians in Canada. Canada's internationally renowned amateur orchestra provides performance experience to students who aspire to professional orchestral careers. Operabase allows one to search opera performances and artists, over 700 opera houses and festivals, news and reviews from the world's leading papers, and audio and video recordings. Operabase has links to over 1000 opera resources on the web. Federation of Canadian Music Festivals is the umbrella organization for 230+ local and provincial festivals.It is a charitable, not-for-profit Canadian organization of volunteers from across the country serving tens of thousands of young musicians. London's premier community music festival for soloists and groups performing classical to contemporary music. This is the festival's 59th year. London's Local 279 American Federation of Musicians. An awesome directory site which will take you on 360° virtual tours of historic sites, gardens, military and space equipment and more. Sponsored by TraveAdventures.org, photographer Boris Kester has made his lifetime of travel photos available on the internet. Search options include regional headings, flag selections, themed categories or keyword. NOTE: the initial page may be slow to load but worth the wait, be patient! Most pictures can be sent as free e-cards. A travel guide to offbeat places and unusual destinations world-wide, with a fresh look at old favorites in the form of illustrated travel reports from experienced travelers. Check the sidebar ‘Armchair Travel’ for book reviews. Provides the world's best collection of virtual tours and travel guides. From Paris to Dubai, from the Vatican to the Taj Mahal, from Islands to Oceans, you will find awe-inspiring virtual tours. To view the images, you will need to install the free Java plug-in. International Women's Day is celebrated on Saturday, March 8. To find out more about this day, visit the official website . Why not mark this day by reading about women, whether it's women in history, feminism, women's health, women growing older or women and relationships. Here's just a taste of what we have to offer at your Library. Click on a heading to discover a list of books and more. Do your New Year's resolutions include losing weight and living a healthier lifestyle? Happy Holidays from your Library ! It's a busy time of year! Let us make it a little easier with the direct links below to the books and other materials you may be looking for. Your Library has a selection of books, music and more to help you plan for this special day. Cherie Dimaline, is a Toronto-based writer of the Georgian Bay Métis Nation. Her "young adult" novel The Marrow Thieves (2017) speaks vividly to present day injustices through a vision of a dystopian future, and was awarded a Governor General's Award for English-language children's literature, as well as the prestigious Kirkus Prize (US $50,000) in the young adult literature category. Her first novel, Red Rooms (2011) won the Anskohk Aboriginal Literature Festival, and she was named Emerging Artist of the Year at the Ontario Premier's Awards for Excellence in Arts in 2014. She is also the author of two recent novels, The Girl Who Grew a Galaxy (2013) and A Gentle Habit (2015). She is the founding editor of Muskrat Magazine, an online indigenous publication focusing on sovereignty, culture and the celebration of community excellence, and served as the first indigenous writer-in-residence for the Toronto Public Library in 2014-2015. Ms. Dimaline is well-known for her eagerness to work with young writers, and for her abiding interest in "community," which is, she has said, "where my stories come from and . . . also where my responsibilities lie." Learn how to tell stories through zines! Create your own zine and contribute to our One Book One London Zine by adding a page about your response to The Marrow Thieves. Facilitated by Jenna Rose Sands, a Cree Ojibwe artist who lives in London. Sara Mai Chitty is Anishinaabe and a member of Alderville First Nation. She is an educator and freelance journalist focused on Indigenous storytelling and practices based out of London, Ontario. She holds a master's in journalism from Western University and has spent most of her career working in not-for-profits and for community based media. She is the Indigenous Transitions and Learning Advisor at Fanshawe College's First Nations Centre and also teaches part time. The Marrow Thieves is a story about cultural resilience. Cherie Dimaline infused many elements of Anishinaabe culture through this story. Come learn more about these elements and their cultural significance while enjoying a dance demonstration and traditional food. What is something you've always wanted to know about Indigenous issues or culture but didn't know who or how to ask? Come join us for a night of learning as we listen to a panel of local Indigenous guests address the questions we've collected from the community and enjoy traditional food together. Information will be based on questions submitted by the community in advance of December 31. Thank you to all who submitted questions! Note: we may not be able to answer all questions directly at this program but we will do our best. Join us for a night of stories, music and more with author Cherie Dimaline and special guests. Book sale and signing to follow. 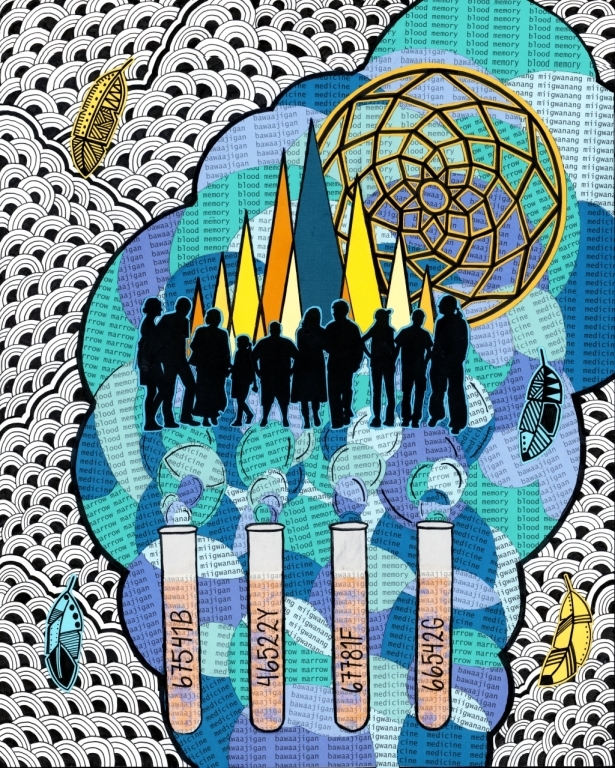 Artwork (multimedia collage on paper) by Jenna Rose Sands and inspired by The Marrow Thieves. The original work is on display on the main floor of Central Library. We have more feature films in languages not listed above. See a complete list here . The Central Library has books, videos and material for children in all the languages listed in the chart above. To look for a newspaper or magazine Canadian, US or in a foreign language which you do not see in the above list, try our database PressDisplay  or any of the following online databases: Newsconnect,  Online Newspaper Index , Internet Public Library  (click on Newspapers and Magazines), Online Magazines , Newslink  or All You Can Read  (click on the map, then on the country name. PressReader  gives you same-day access to newspapers from around the world. How do I use PressReader ? Your instant news connection to local, nationa and world news. Online Newspaper Directory for the World (Thousands of Newspapers Listed by Country & Region). Links to US and foreign Sources of newspapers, magazines, radio, and TV networks. Over 200 countries are represented at AllYouCanRead.com. Our magazine and newspaper listings are categorized not only by their country of origin, but are also subcategorized by topic - be it art, business or travel. Basic and advanced search engines can be used to search publications by name, keyword, category or location. OverDrive  is a digital media platform which allows you to download eBooks and eAudiobooks.